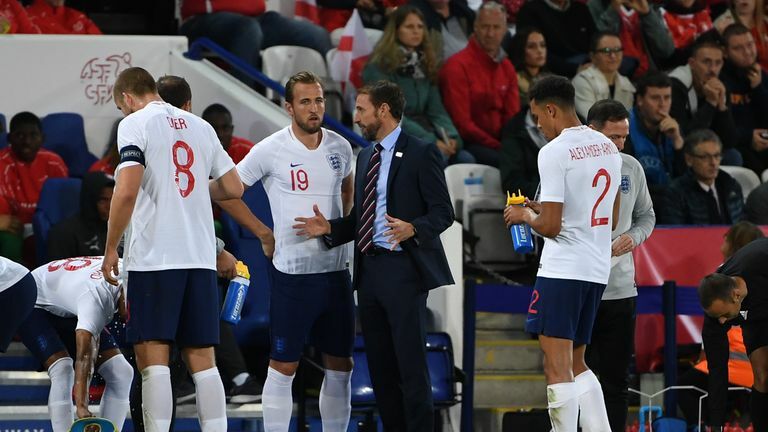 With the absence of any Americans, it was Team England - Kane and Dier - against Team Europe - Eriksen and Davies - and there was plenty of joking and gamesmanship between the pairs. "It's a massive game," says Kane. "They have had a great start to the season winning all their games and we are coming off the back of a defeat which we want to put right. "We did well at home against them last year so hopefully we can do similar this time." Eriksen said: "We played a very strong game against them at home which gave us confidence going into other games. They are mostly the same team and so we are, so it will probably be a similar game. We are looking forward to the game." Davies added: "We put in two good performances against them last season. Even away we felt like we played well and gave them a good game. It will be tough but it's one we are looking forward to."